What price The Right Stuff? If you’ve got €600,000 to spare, get yourself to Vienna and the Westlicht Auction House for the auction of 4,500 photos from the glory days of the US manned space programme, from the 1950s to the final mission to the moon – 40 damn years ago! The photographs, from a European collection, will be sold in two lots and have an estimate of €400,000-€600,000. Here are just a few – you can see more of them here and read more about them here. 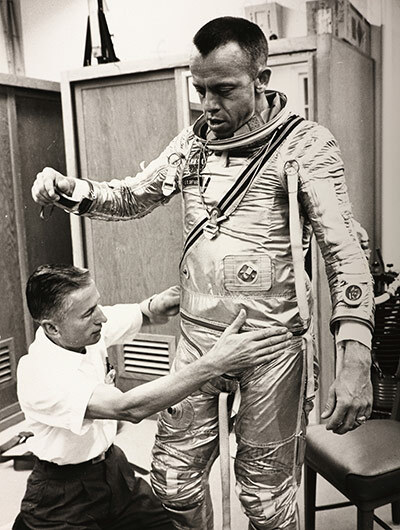 Alan Shepard suits up for the Mercury-Redstone 3 mission, May 1961. 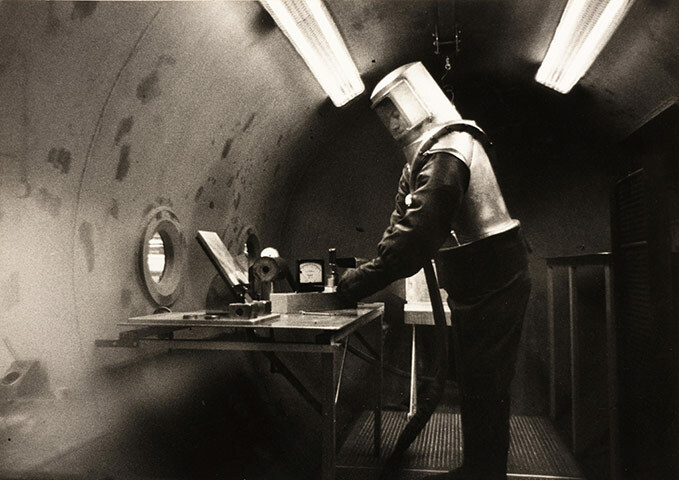 Photograph: Courtesy of WestLicht. 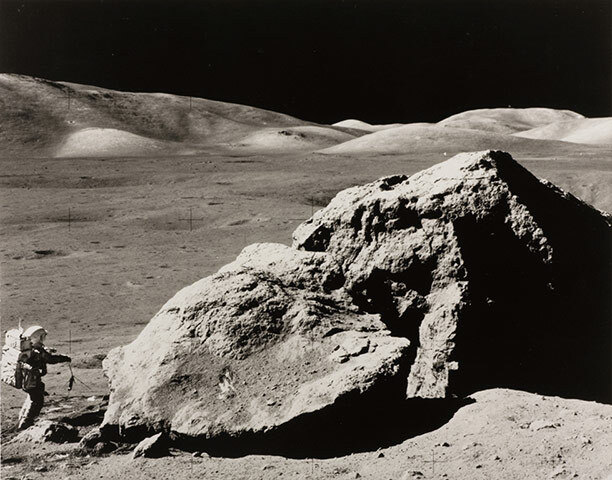 The last time we were there: Apollo 17, December 1972. Photograph: Courtesy of WestLicht. This entry was written by whyevolutionistrue and posted on November 3, 2012 at 3:25 pm and filed under Uncategorized. Bookmark the permalink. Follow any comments here with the RSS feed for this post. Both comments and trackbacks are currently closed. The last photo caption should read Apollo 17 (not 16). I believe the last time was Apollo 17. Nice pictures, anyone want to go half sites? 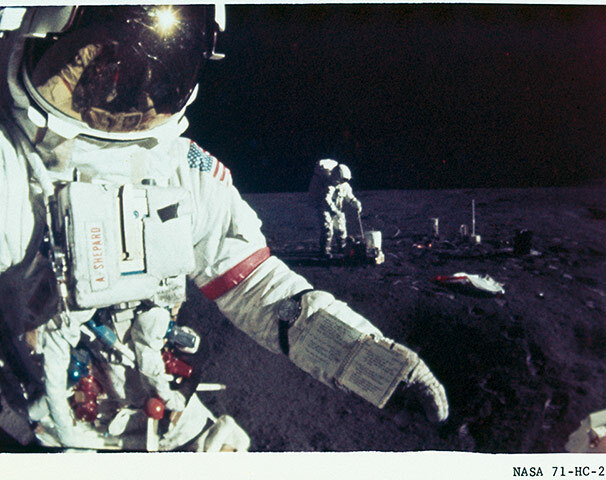 Hate to picky but isn’t the last pic from Apollo 17, not 16? Fixed. Thanks all four of you. 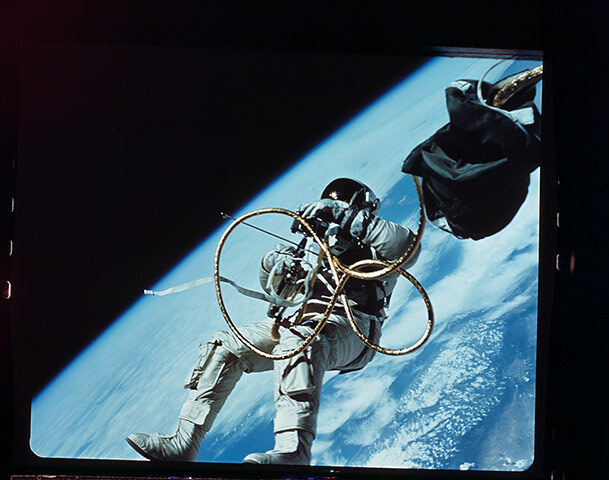 NASA was once synonymous with hi-tech and modernity. Now silver halide prints from its halcyon days are newsworthy for being on the block at an auction house that otherwise specialises in vintage Leicas and Victorian albumen prints. Maybe the earnings can be invested towards stocking up bayonet arsenals and replenishing US cavalry stables? I also understand the odd Dreadnought may be available in some scrapyard, now that the Chinese are no longer hunting down the last smidgen of junk steel on Earth. But even that might require the compensatory scrapping of Big Bird, to balance the budget. Couldn’t have said it better had I pondered for 40 years. They say he is one of the smartest mor[m]ons! That’s why they call him Mittens. I met an older man last summer who was the lead astronaut trainer for the Apollo program. I’m hoping to do a video interview with him this coming summer and somehow acquire a good list of questions from you guys and others. All of the men and women who worked on that program are nearing the end of their lives. If you know anyone of them, let’s interview them before they’re gone. 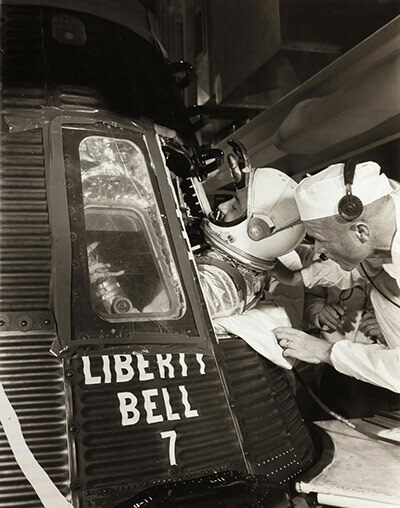 Is the picture of Alan Shepard taken with some kind of special lense? The proportions of the extremities of both men seem to me quite unnatural. Shepard was actually about 7’9″, by far the tallest astronaut ever. And the technician helping him there was none other than Archie “Stretch” Wilkins, all 4 feet 7 inches of him.